This item is available for shipping.. The 2019 Calendar (Set of 10) (Discounted by 10% on individual price) offers 16 months of fun and simple tips for building the critical language and literacy skills all children need to be prepared for school. 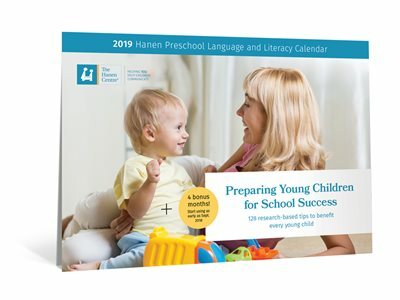 The 2019 Calendar (Set of 50) (Discounted by 20% on individual price) offers 16 months of fun and simple tips for building the critical language and literacy skills all children need to be prepared for school.